On 24 April 2014, a first information meeting was held for doctoral candidates and staff of the Department of Geosciences to inform them on the plans of the GSGS. At the same time, the first "Student Assembly" was held, and the members of the Doctoral Council were elected. 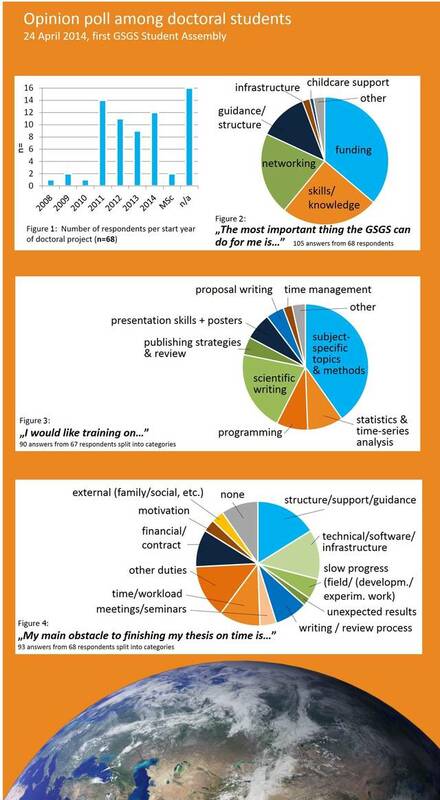 During the meeting, an opinion poll was held amongst the doctoral candidates present about their wishes and expectations regarding GSGS (please see the overview below).